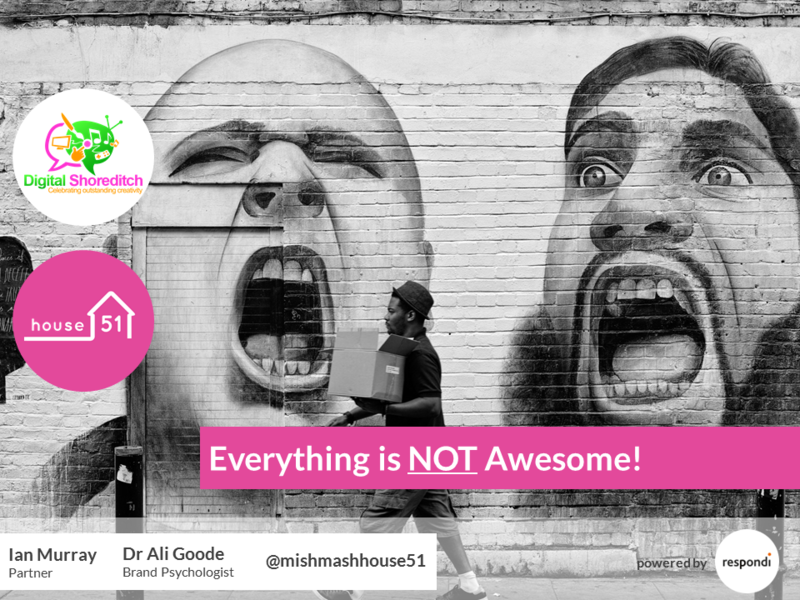 See below for a YouTube video of our talk at Digital Shoreditch 2015 (Connect Day 14th May). We used data from our recent study on trust, ethics and mindful consumerism as a platform to consider why big business continues to fall so far short of ordinary people’s ethical standards and expectations. The popular narrative is that big business is either evil or simply doesn’t care. But business people are real people too. They are you and me. And behavioural science shows that business people are subject to the same biases and fallibility as everyone else. We don’t leave system 1 at home when we leave for work in the morning. It’s there constantly interacting with system 2 in every business decision we make. We provide a few examples of how common everyday heuristics and biases (illusion of control, confirmation bias, in group out group etc.) cause business people to diverge from their stated intentions.